Publishing Cromer, in December 2016. 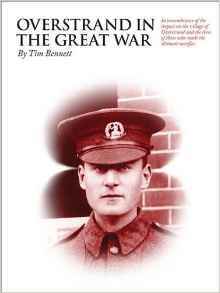 Tim Bennett, author of Overstrand In the Great War has been in touch to tell us more about the project that the book grew from and to share one man’s story. The book offers an insight into life in Overstrand at the time of the Great War and a glimpse of the bravery and courage of the men from the parish who gave their lives for King and Country, serving with great bravery and honour in places far away from their home village. August 2014 saw the start of the national commemoration for the World War 1, 1914 – 1918. It was decided that Overstrand as a village should recognise this, so I formed a small team to plan a village exhibition which was held in St Martin’s Church and the Parish Hall during the month of August, to coincide with the centenary of the outbreak of war. The aim was to show some of the impact of the War on the community of Overstrand and on the lives of the families of those who made the ultimate sacrifice. Thanks to funding from the Heritage Lottery Fund – First World War Centenary project and the Overstrand Parish Council it has been possible to continue the research begun in 2014. With the support of Poppyland Publishing the ‘stories’ of all forty men whose names are on the village war memorial are told. It has also been possible to include a section about some of the men from the Parish of Overstrand who served in the Great War and returned ‘home’. It has been a very rewarding time meeting some of the relatives of those who died in, or as a result of, the war. Researching in local archives for information about the men; where they served and how they endured such atrocious conditions on the field of battle. It has been a privilege to work with village resident Martin Dennis, who has provided the military data and verified the identity of each individual. My wife Jill, spent many hours using the Ancestry database to provide family details and information. One of the men from the village killed in 1916 was Sgt Claude Church. He died on the second day of the Battle of the Somme. Last year I met his niece and great-niece who shared some very special photographs and documents about his military service. Claudia, now aged 95, was the first member born into the family after Claude’s death and was named after him. She came to Overstrand to share in our act of remembrance exactly 100 years to the day after his death. When I began my research in 2014 I discovered the photograph of Petty Officer Edward Naylor held in the Norfolk Library Services’ Picture Norfolk Online. It was a very moving experience to see this young man who, I would later learn, had a quite extraordinary experience of war and would die in such tragic circumstance aged only 19. Edward was the only child of Henry and Jane Naylor, born on the 25th June 1898 at Letchmore Heath, Aldenham, Hertfordshire. Henry Naylor was a gardener at Aldenham School, a private boarding school founded in the 16th century, set in the Hertfordshire countryside. He moved with his family to Overstrand to be Lady Battersea’s agent and head gardener at The Pleasaunce. The Naylor family lived at ’Pleasaunce Gardens’,10 Harbord Road, Overstrand. William was a pupil at the Belfry School, Overstrand. When he left school he was also employed as a gardener at The Pleasaunce. On the Pleasaunce Estate Lord Battersea had built a garage where his chauffeur, Mr. Harry Curtis worked. It was here where the Rolls Royce cars owned by Lord Battersea were garaged and repaired. It is very possible that the young Edward Naylor may have spent time working as a mechanic in the garage when he was not required for gardening duties. When the opportunity to volunteer for the War came it was perhaps this experience which influenced his choice and made him an ideal candidate for his role in the RNAS. 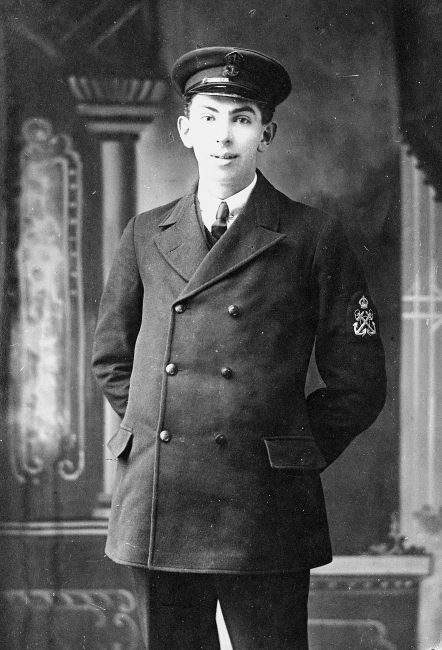 Edward joined Commander Locker Lampson’s Armoured Car Brigade of the Royal Naval Air Service (RNAS) on 10th January 1917, as a Petty Officer Mechanic. 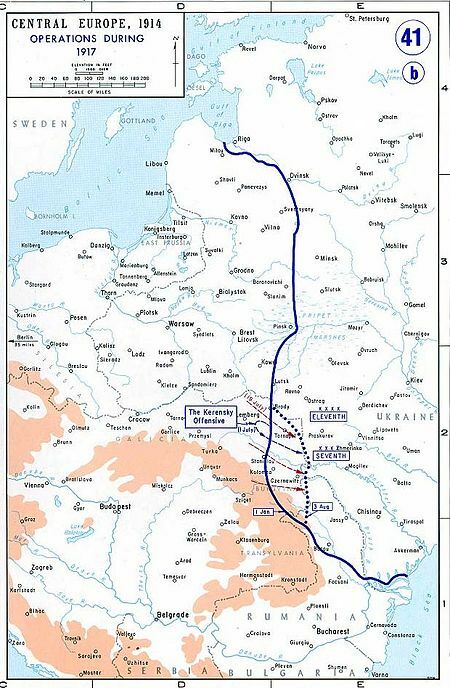 After a period of training on Whale Island near Portsmouth, he embarked for Russia on 1st February and landed at Odessa on the Black Sea in Ukraine. Locker Lampson received a commission in the Royal Navy Volunteer Reserve on the understanding from the First Lord of the Admiralty, Winston Churchill, that he would personally fund an armoured car division. Locker Lampson’s family home was at Newhaven Court in Cromer. Records show that several men from the Cromer area joined the RNAS including another Overstrand man, Thomas Church. It is known that Locker Lampson had very strong pro-Jewish views and was an active supporter of Jewish charities. He was also known to be a good friend of Lady Constance Battersea, well-known for her Jewish faith. It may have been this local connection which persuaded Edward to join the RNAS. After serving on the Western Front, the Division was renamed the Russian Armoured Car Division and operated with the Russian Army in areas including Galicia, Romania and the Caucuses. Edward was given a military funeral with his coffin covered in the Union Jack. Mules provided by the Liverpool Regiment took the coffin from the house to the church on a timber wagon. The band of the Liverpool Regiment was also part of the cortège playing the ‘Dead March’. Buglers sounded the ‘Last Post’ at the graveside and a firing party from the Regiment gave a salute. There were many parishioners attending including, Lieutenant William Pegg, who would be buried next to Edward in March 1919. Edward was decorated with the Order of St. George IV Class (Russia) for his ‘valour’ at Brzezany. E H A Naylor was awarded the Cross of St George ‘For gallantry under fire and services rendered on the Galician front, 10th August 1917’. Copies of Overstrand in the Great War will be available to borrow from Norfolk’s Libraries very soon. If your village or community group has investigated people listed on a war memorial – or completed any other research in to WW1 connections – please do get in touch as we’d love to feature them here on the blog.